So, how do the differences between legal résumés and business résumés reflect the differences between lawyers and business people? Business people are often selling themselves to potential employers as creative innovators who have delivered specific results in the past and who can therefore be counted on to achieve specific results in the future. On the other hand, lawyers can be creative problem-solvers also, but they are primarily selling their experience, expertise, and most of all their professional judgment. This difference affects the entire tone of the résumé. A talented résumé writer can use smart layouts, different fonts, color, highlighting, and graphics to make a killer business résumé that can really help to open doors in the business world. The problem is these strategies don’t work well in the legal world. Lawyers tend to be late-adopters and so the hiring attorneys I’ve talked to are nearly universal in their criticism of these looks. Unless you’re applying to work in a firm or company that prides itself on being cutting edge, hiring attorneys want to see what they’re accustomed to seeing: Times New Roman-like fonts, black text, simple bullets, and minimal graphics. Your résumé is not the place to introduce them to new techniques (however meritorious). The best business résumés use some form of the STAR (Situation, Task, Action, Result) or CAR (Challenge, Action, Result) formulas bolstered with quantifiable achievements. This structure doesn’t translate well into the legal world. Also, unlike a lot of professionals, lawyers have mandatory ethical rules enforced by their bar associations and the courts that prevent them from promising results, creating false expectations, implying they can achieve specific results, comparing their quality of services to other attorneys, etc. 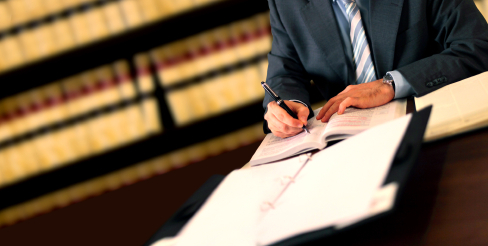 Lawyers are trained to be advocates, and to use facts and language to their advantage. They have a limit, however, and that limit is lower than business people’s. They’re suspicious about language that seems “salesy,” exaggerated, or overly technical. Be wary of trying to impress them by using superlatives and unnecessary legalese. Junior attorneys in particular have to be very careful not to appear to take credit for successful team efforts. So while your résumé is a marketing document, it needs to market you very carefully. Some lawyers boast about their near-OCD attention to detail. It’s part of what makes them good attorneys. When it comes to résumés, it means that they can be even more sensitive than other employers. Punctuation, formatting, typos, organization, parallel structure, flow, inconsistencies, and focus are important in any résumé, but they’re critical in legal résumés. Remember that attention to detail in language isn’t just desirable for attorneys, it’s a minimal job qualification. Shauna C. Bryce, Esq. practiced law in New York and New Jersey before starting Bryce Legal Career Counsel, a boutique offering résumé writing and other career services for lawyers.